The third version of the HK/HT range, it had Trimatic 3-speed automatic transmission, standard on Brougham and Premier models and optional on all others except the Monaro GTS-350, which had 4-speed manual or two-speed Powerglide auto. There were new safety features and trim designs, and all V8 models were fitted with improved disc brakes. It was the last of this series of full-sized Holdens to be built in left- and right-hand-drive versions. The HG Holden was The final refinement to the HK-HT series, introducing the three speed Tri-Matic automatic transmission to the full size Holden’s. Range included sedans, wagons, Monaro coupes and light commercial models plus the luxury of the Brougham.Tri-Matic transmissions were standard on the Brougham and Premier but optional on other models.The brilliant GTS 350Monaro was offered with either a 4 speed manual or the regular two speed Powerglide automatic. The grill was a more elaborate plastic grille with cleaner body decorations. The HG had new safety features, colours and trim designs. Greatly improved disc brakes became standard to all V8 models, while greater comfort was built into the suspension system of the Monaro GTS. 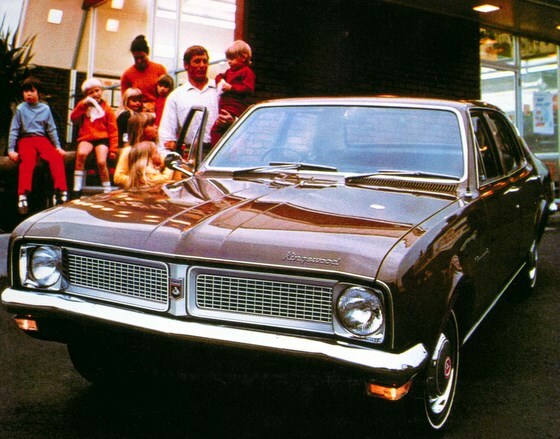 The Model range included: Belmont Sedan, Belmont station wagon, Belmont panel van, Belmont utility, Kingswood sedan, Kingswood station wagon, Kingswood utility, Premier sedan, Premier station wagon, Brougham sedan, Monaro coupe, Monaro GTS coupe, Monaro GTS 350 coupe. I recently obtained a HG Kingswood ute, this ute was made 09/71 and registered 10/71, are there knowledge people who could provide the date the last HG was amde? I have passion for HG Commericals to date I have a 186 Kingswood manual ute, an original paint and drive train 186 auto Kingswood ute, an original paint and drive train factory built 202 manual Kingswood ute. I also have a 03/71 38,000 mile panel van with windows. Yes, I am slightly obsessed with HG’s. Someone is selling a 1970 HG Kingswood with 161 engine, sedan, 3 speed manual, cannot seem to come across this model on any valuation guides. Anyone know about this model and what the value is? i am seeking the original colour code for the 1970 Holden HG Ute. hg utes or sedans even? thanks! A response to the post by Michael Andrew, above. The HQ series Holden was released on 21 July 1971, (I recall as a 13 year old kid going to the local Holden dealer to look at them on that date), and as you would know, the HQ replaced the HG series. However, the HQ utes and vans were not ready for release at the time of the rest of the HQ range, so GM-H continued building HG utes and vans for several months after the release of the HQ passenger cars. I don’t recall seeing any HQ commercial vehicles in the showrooms until very close to the end of 1971, and I know that the last of the HG commercial vehicles had HQ engines because I recall seeing a brand new HG ute back then with a 173 under the bonnet, instead of a 161 or 186 from the HG engine lineup. I never saw an HG with a 202 under the bonnet, or with a 202 badge on it, (in those days all Holdens with an optional engine had a badge on them to show what motor was fitted), so if your ute has a factory 202 in it then I have learnt something new about them. Does it have a 202 badge on it? 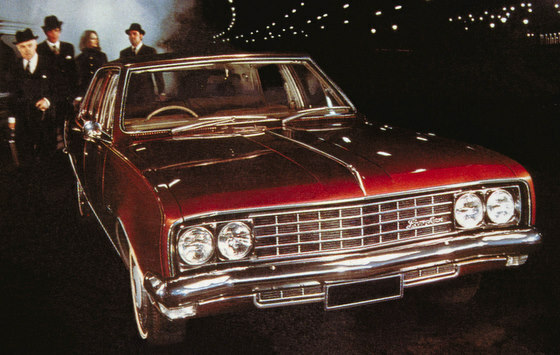 In answer to your question, the last of the HG sedan range was probably made about six weeks before the release of the HQ, to enable GM-H to build up stocks of the HQ for the release date, so probably mid-April 1971. The HG utes and vans were continued for a few months after July of 1971, until the HQ commercial vehicles were ready for release, and knowing from memory that the HQ commercials were released prior to December that year, (I was a bit of a Holden fan as a teenager), I would expect that they ceased making the HG commercial vehicles around mid-October. That’s an educated guess, based on what I was observing in the showrooms and reading in the newspapers/car magazines at the time. So, if your HG ute has a 9/71 compliance plate, then it was probably one of the last to be built. If i was inheriting a vehicle it would be a difficult task to do anything apart from repair anything needed and restore if required and KEEP IT but im not you and i am made keen about the whole HG range i owned a premier as my first car and doing a LOT of research now before i buy my next HG so i guess it depends on weather you like cars or not ?? In Reply to Simon Harris. I too live in Blackbutt, Qld and I have a 5/70 HG Panel Van which is Body Number 1A, Chassis Number HG00013A. It is the first Panel Van off the line at the Elizabeth Plant in 1970. I have a Holden premier 253 V8. Think 1970. Its a bit run down. I would like to rebuild or restore and have it back on the road. Please advise how I can get new engine for same or orignal engine parts and suspension parts. There is currently -as at 01 June 2017 – a green 253 V8 HG Belmont Ute sitting in the Holden dealer’s showroom in Ipswich Rd Moorooka, Brisbane It has the original Black and White number plates which I believe would be from around November 1971. This would be one of the last HG’s produced in Australia as the HQ range (apart from commercials was released in July 1971). I believe from my memory that the brochure for the first HQ commercials was dated November 1971. It seems likely therefore that the HG commercials were produced up until around October 1971. In any case a very original V8 Belmont HG Ute is a very rare vehicle. I can provide photos if anyone is interested. I am currently restoring my fathers 1970 HG kingswood wagon that has the original 186 engine in it but it’s been rebuilt as well as it’s original trimatic transmission and we have had the car since 1973 and it’s been an awesome car but had been off the road for a number of years due to its restoration but it’s nearing completion as it has sentimental value to us.